During the days of planning for JWalking 2, we usually made sure that we would be in the vicinity of the airport when there was a flight to catch. Not this time. For some bizarre reason, which I am blaming on booking overload or some sort of local beer in Auckland, we had booked a long bus transfer from Whistler to Calgary Airport via Vancouver before our afternoon flight to Calgary. Without any mishaps, this should be around a 3 hour journey but Downtown Vancouver traffic can be notoriously gridlocked. The touch of anxiety we had was thankfully unwarranted. We arrived at the Airport with plenty of time to check in, have the now common cursory check at security, have a coffee and a bun and watch the list of cancelled or delayed flights pop up due to storms over the prairies. Luckily we were among the lucky passengers who only departed 30 minutes late. The flight was a bit bumpy but we had great views of the Canadian Rockies before making our descent and approach to Calgary. The landscape reminded us of Denver where the Rockies miraculously flatten out to the plains of eastern Colorado. 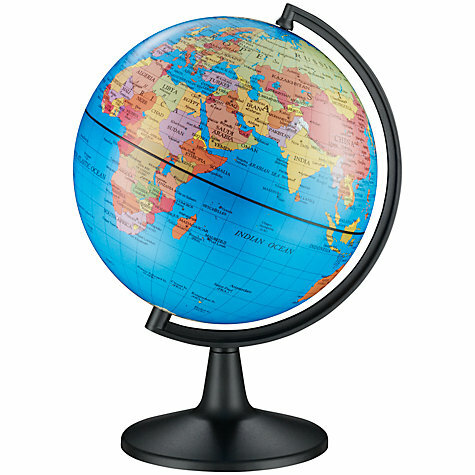 We could see the vast prairies stretch out to the east in the province of Alberta. 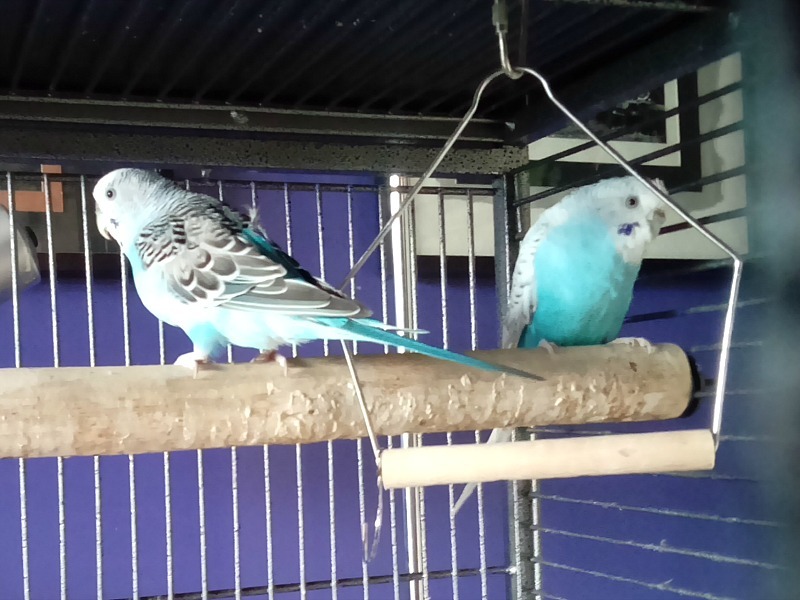 Another city, another Airbnb, this time a small three bedroomed house owned by a fire-eating circus performer with 2 budgies and a parrot. What else? 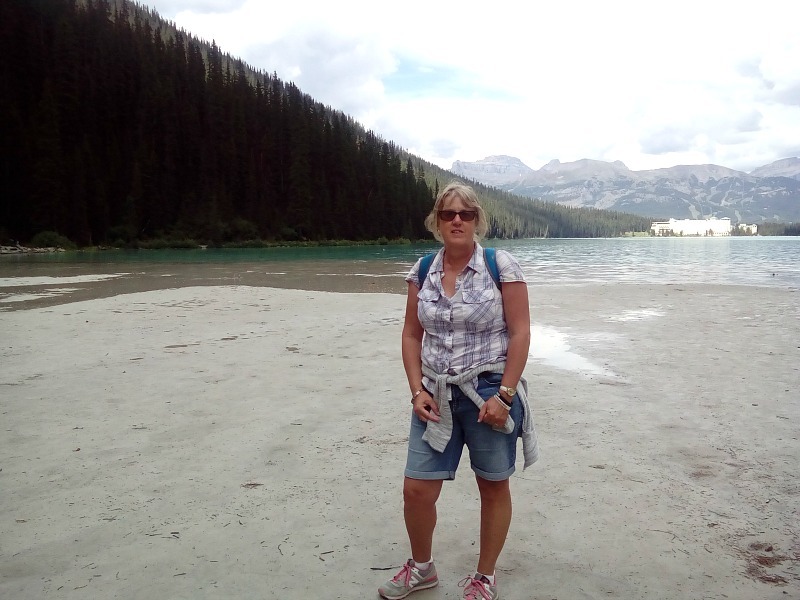 We had scheduled a couple of days in Calgary to rest up after the trail walking of Whistler – we would be returning to Calgary again after a road trip so kept the sightseeing to an unusual minimum. 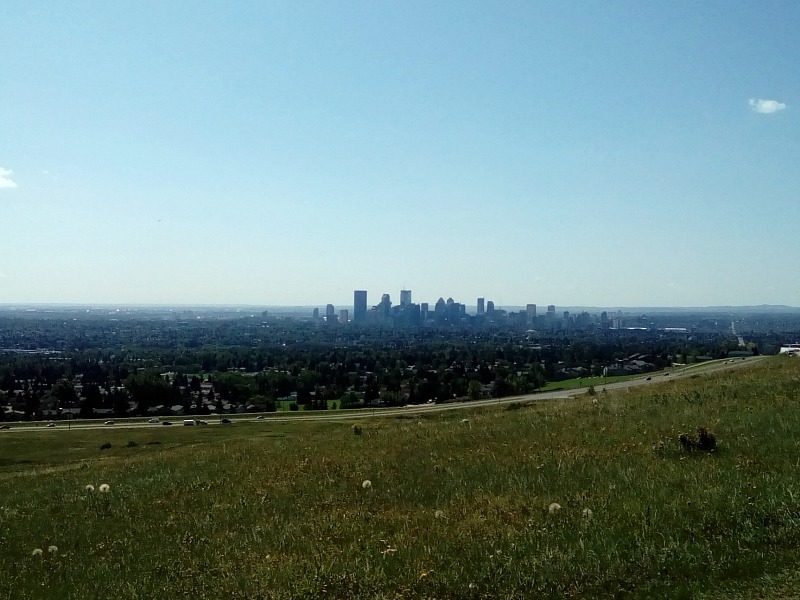 We did meet the mosquitoes of Nose Hill Park, familiarise ourselves with the centre of town and shout a few Pokemon NOs on the walk along the Bow River. JWalking Calgary 2 will be coming soon. The one and a half hour bus journey went smoothly with interesting commentary about Eddie the Eagle in the 1988 Olympics in Calgary. Priceless. I think he thought we knew him so we ended up as VIP passengers in the front seat and were delivered right to the door of our overnight lodge, the Banff Inn. 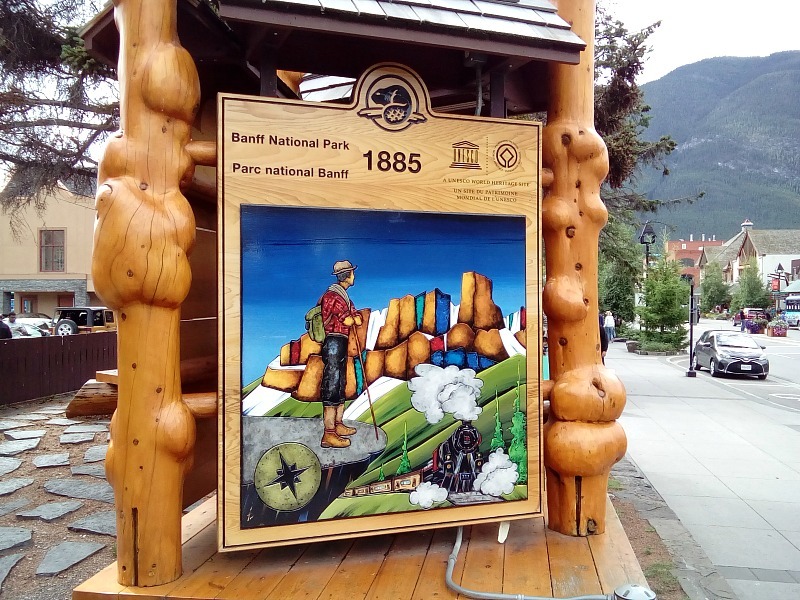 Banff itself is a busy hub in summer with lots going on. 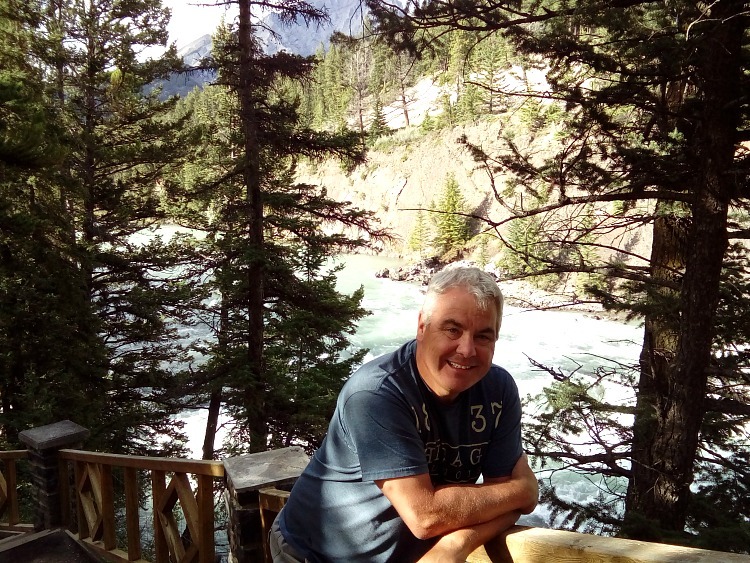 We managed to fit in a couple of trail walks to see the Bow River Falls and some of the historic lodges/cabins which have been relocated to the riverside park, pick up a very sporty looking hire car and buy our Canadian National Park passes. But once again more will follow in JWalking Banff 2. The Alberta road trip has begun. Long ago, probably that Auckland beer to blame again, we decided that to see this part of Canada the way we wanted to we needed a car. 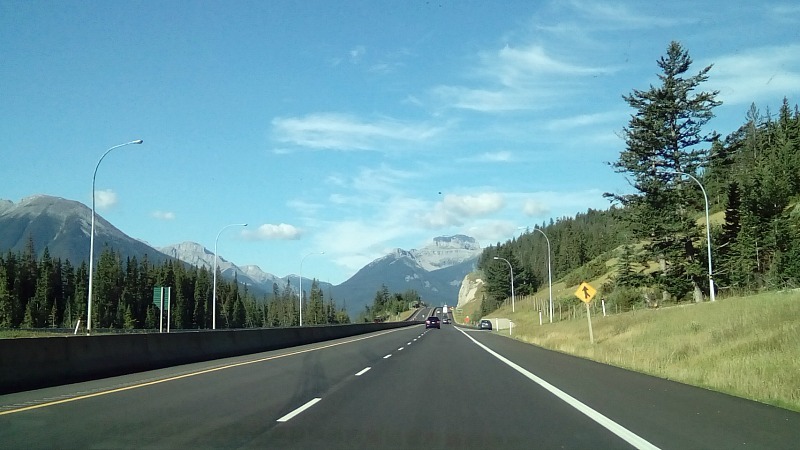 The first leg was Banff to Lake Louise. A mere 50 odd km but we had a couple of stops planned. Our down time in Calgary had been used wisely. We had a map marked up with all the potential stop offs along the route. As navigator (what was Jon thinking? 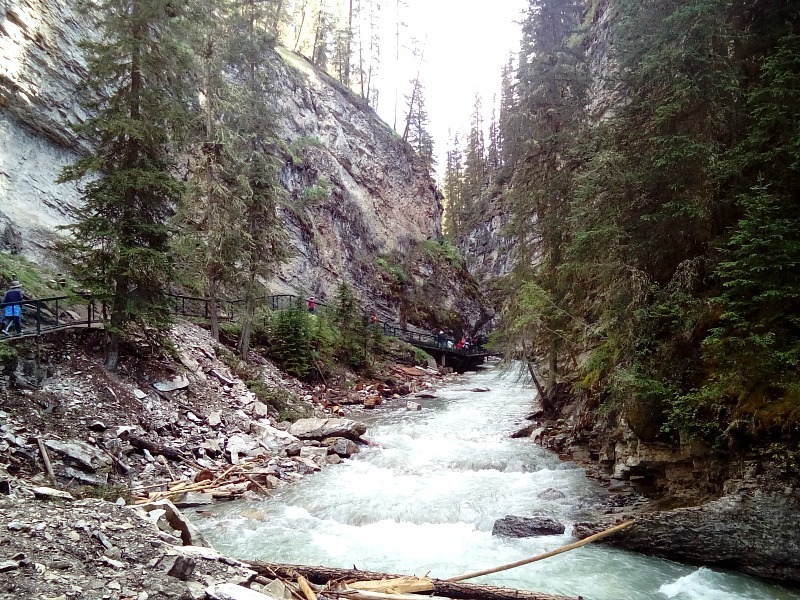 ), I had opted to take the more leisurely scenic route of highway 1A, also known as the Bow Valley Parkway. 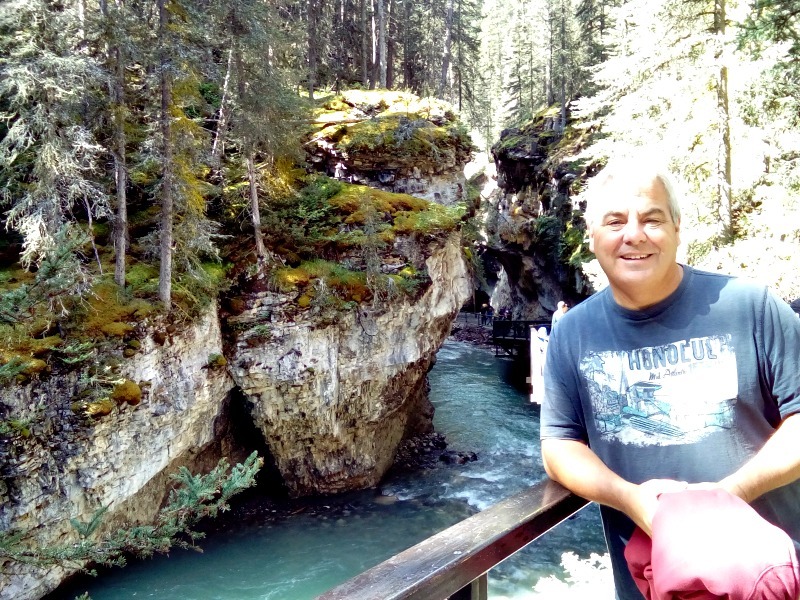 Our first stop off, about 30 minutes from Banff, was the Johnston Canyon. This trail is one of the busiest in the Parks due to its stunning scenery and walkways drilled into the side of the rocks. We managed to squeeze into the car park thinking, “This is busy” and it was only about 10.30am. We braved the sea of walkers to the lower falls which was about a 30 minute walk. Here the falls, about 50 feet high crashed down into a cauldron of bubbling and pulsating water. For the second part of the walk, to the upper falls, it was a much calmer and quieter walk. We could really enjoy our first hike on our road trip. At the upper falls, the water thundered down from about 100ft and although we couldn’t get so close as we did for the lower ones. It was spectacular. On our return to the car park, we realised that we didn’t know what busy was. There were cars squeezed on every spare bit of tarmac and even between trees. Once we ventured onto the road, there must have been half a mile of parked cars in both directions. Now, I think it could officially be classed as busy. The beautiful scenery continued as we headed up to the Lake Louise Gondola. 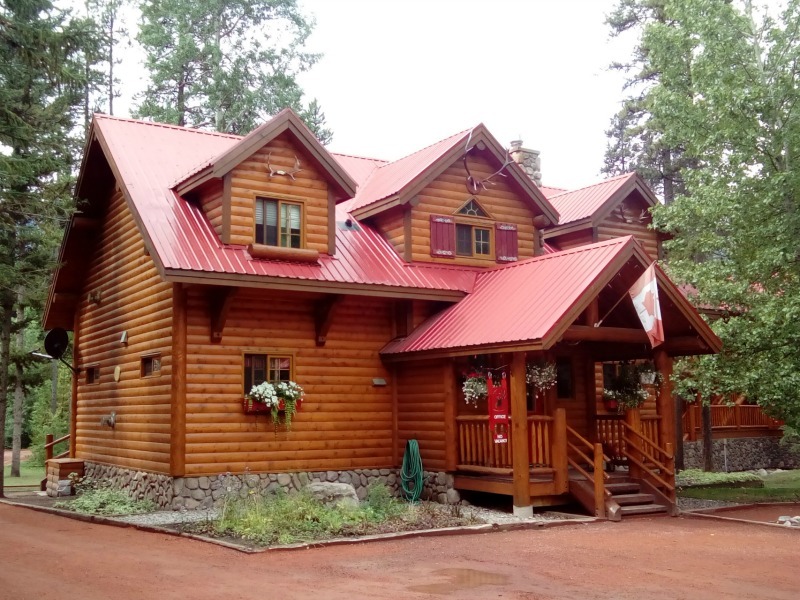 We found a very pretty looking lodge where we had a coffee stop at Baker Creek. 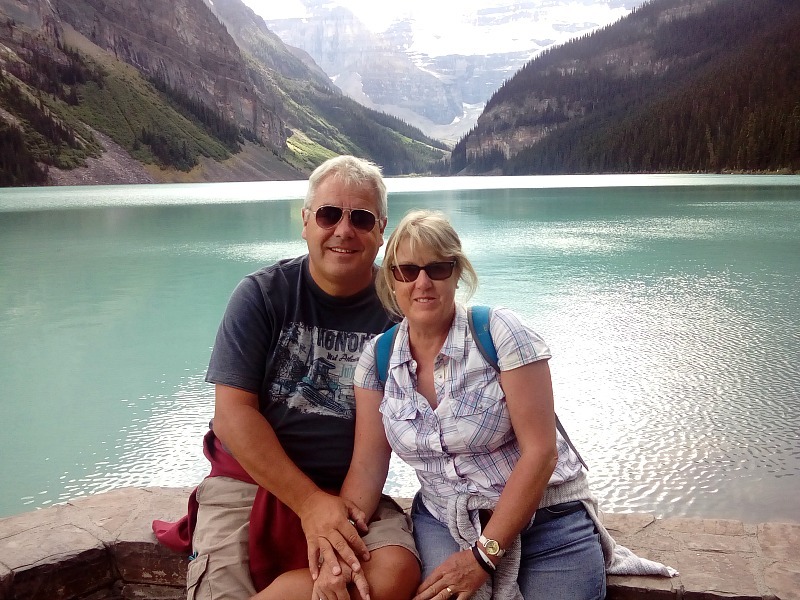 Our plan was to take a look at the Lake Louise Gondola and see if we wanted to take a ride. The lodges and restaurant at the gondola station were all like Swiss chalets and so geared up for the busy winter season. 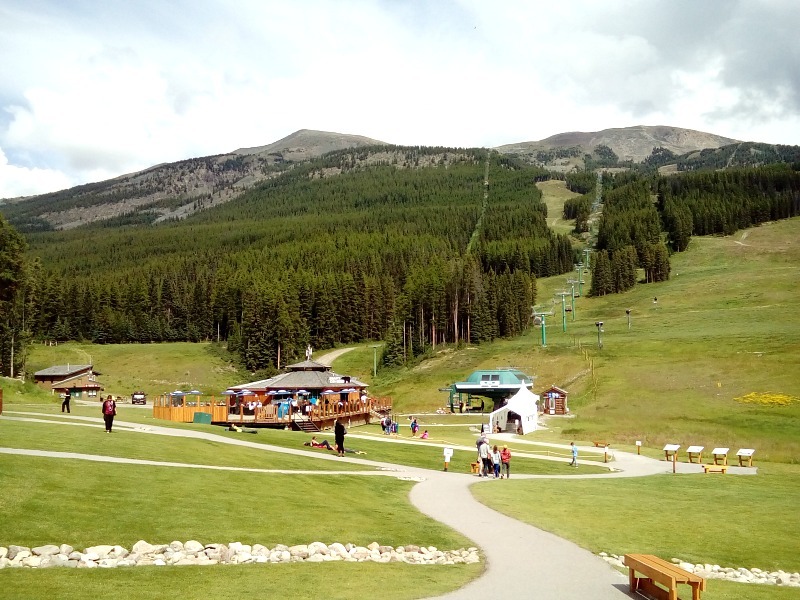 The summer sightseeing gondola was popular but not a patch on our wonderful Whistler experience so we passed on the ascent and sat in the sunshine on the decking for apres ski (without the ski). It was only a 10 minute journey from the gondola to the lake itself. Friends of my brother and sister-in-law had been married here years ago so I knew the Fairmont Chateau Hotel on the lake was picturesque. In the sunlight of the evening the turquoise of the lake with the backdrop of Mount Victoria and the Victoria Glacier which sit on the boundary of British Columbia and Alberta means that it almost doesn’t look real. As evening drew in, we did the lake trail and even ended up standing on the lake bed as during these summer months the water level is much lower. We sat for ages watching a few canoeists and the shadows started to descend across the water. A simply perfect way to end a simply perfect first day on our Alberta road trip. Hey! I’m not sure I’m liking this blogs coming soon malarkey. What next? 15 minutes of messages from your sponsors? 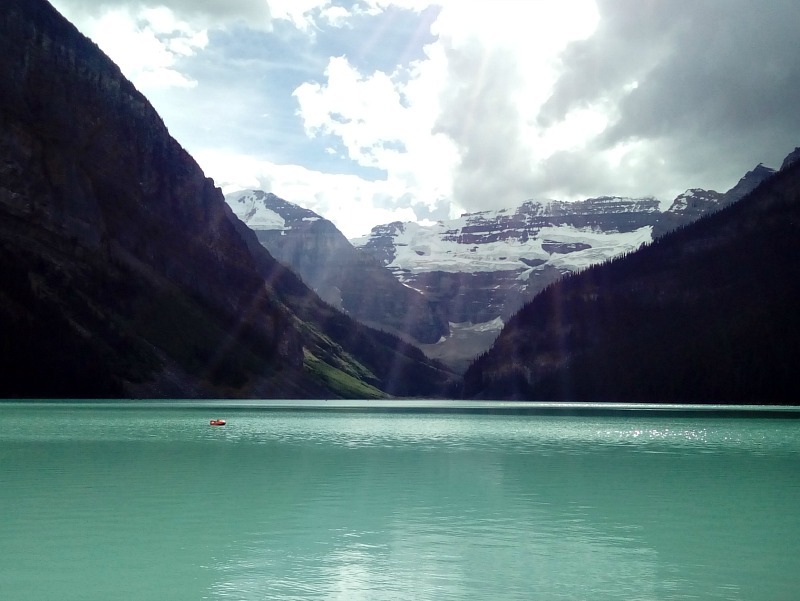 Were you not tempted for a splash in Lake Louise? It does look very inviting but I bet it’s bloody freezing. I think the photo of it could be my favourite so far. 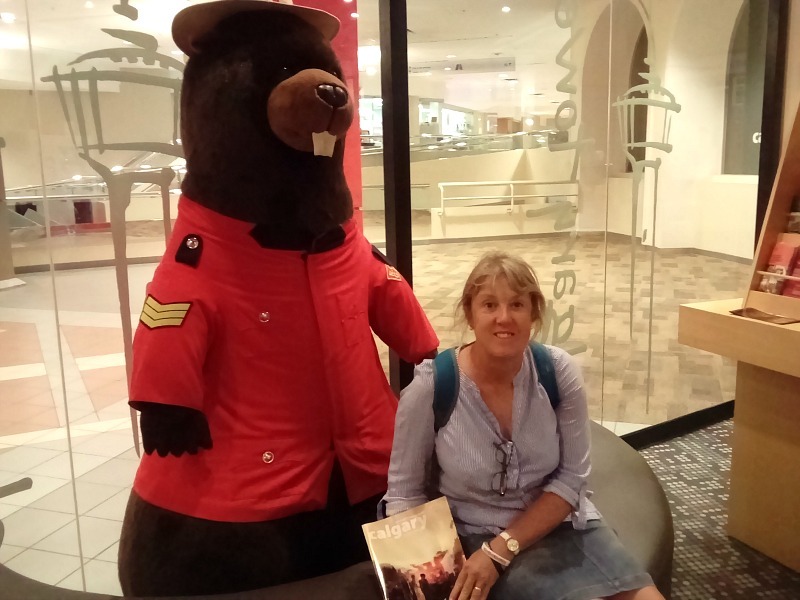 I’m really enjoying these blogs on Canada! Looks like such a scenic and well balanced place.